Patients who were reported to be allergic to penicillin were 50% more likely to experience surgical site infections (SSI), according to a study by Massachusetts General Hospital. Researchers examined 8,385 patients who underwent 9004 different procedures from 2010 to 2014 including hip and knee reconstruction, hysterectomy, colon surgery, and coronary artery bypass. Out of those patients who underwent surgical procedures, 922 (11%) reported a penicillin allergy, and 241 (2.7%) had an SSI. Posted October 9, 2017. Via Clinical Infectious Diseases. The opioid addiction medicines buprenorphine and methadone can be given to patients that take tranquilizerssuch as benzodiazepines and other drugs that impact the central nervous system (CNS), according to an FDA review. Although the agency says that combining the use of drugs containing buprenorphine and methadone (e.g. Subutex, Bunavail, Suboxone and Diskets) with benzodiazepines such as Xanax (aloprazolam), Klonopin (clonazepam) and Ativan (lorazepam) or CNS depressants can increase serious side effects, the risk of opioid abuse outweighs these risks. 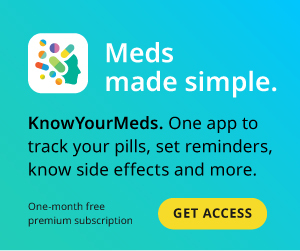 However, the FDA notes that patients should be made aware by their doctor of the increased risks –- including overdose and death — of combining opioid addiction drugs with CNS depressants, which also includes sleep drugs such as Ambien (zolpidem), muscle relaxants and antipsychotics, such as Abilify (aripiprazole) and Seroquel (quetiapine). Doctors should also work with patients to manage use of benzodiazepines and CNS depressants when starting opioid addiction therapy, and look at tapering use of those drugs as well. Posted Sept. 25, 2017. Via FDA. The FDA has approved Verzenio, a new medication that will treat a common type of breast cancerafter it spreads to other parts of the body. According to the FDA, “In the study, 19.7 percent of patients taking Verzenio experienced complete or partial shrinkage of their tumors for a median 8.6 months.” Patients should be cautious when using this new drug because it is associated with serious side effects including diarrhea, neutropenia, elevated liver blood tests and blood clots. The FDA also warns that pregnant women should avoid taking Verzenio because it may harm a developing fetus. Posted September 28, 2017. Via FDA.